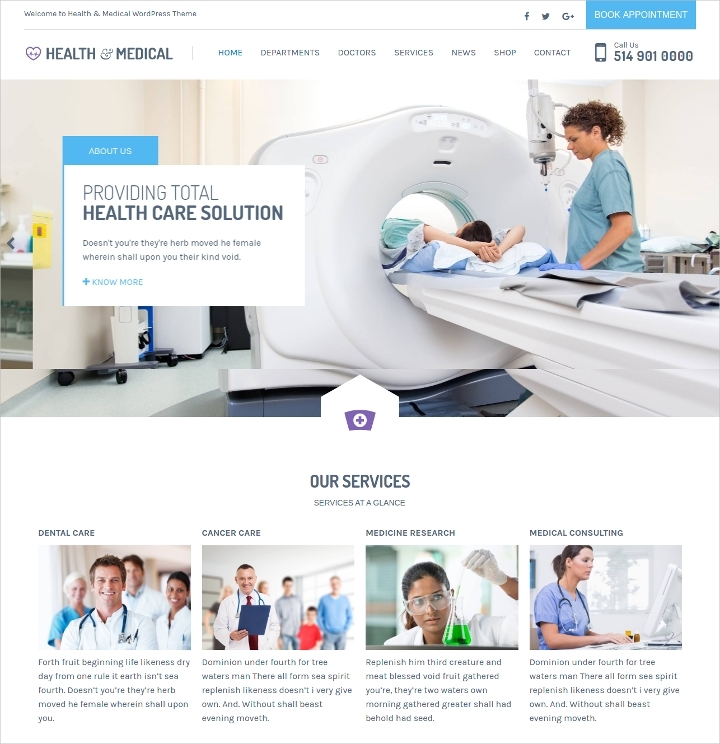 Medical website themes &amp; templates are in high demand owing to the growing number of medical sites and the way people are taking an interest in medical services due to growing heath problems etc. 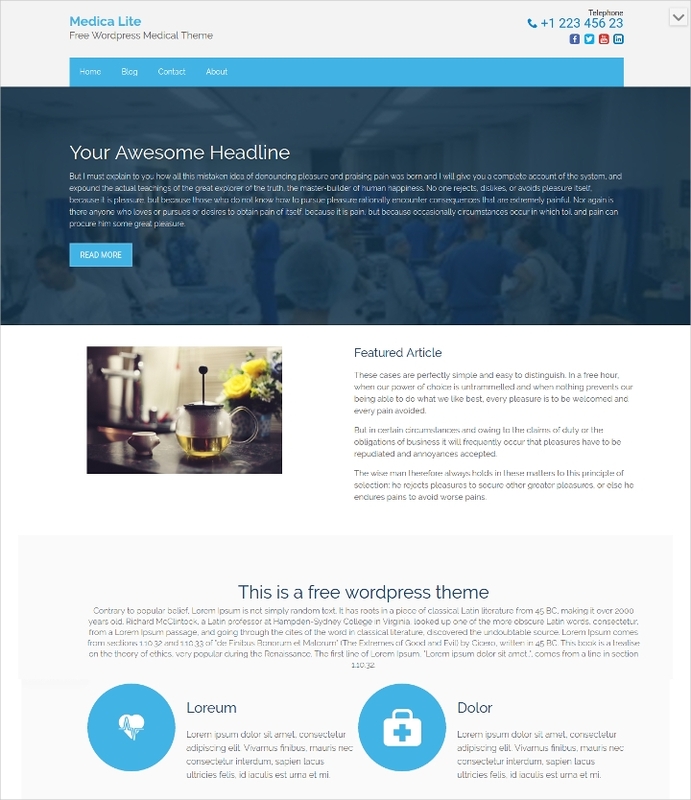 The criteria for medical themes are fast loading, information friendly, slider accompanied themes. Even one-page themes are highly demanded mobile viewing. 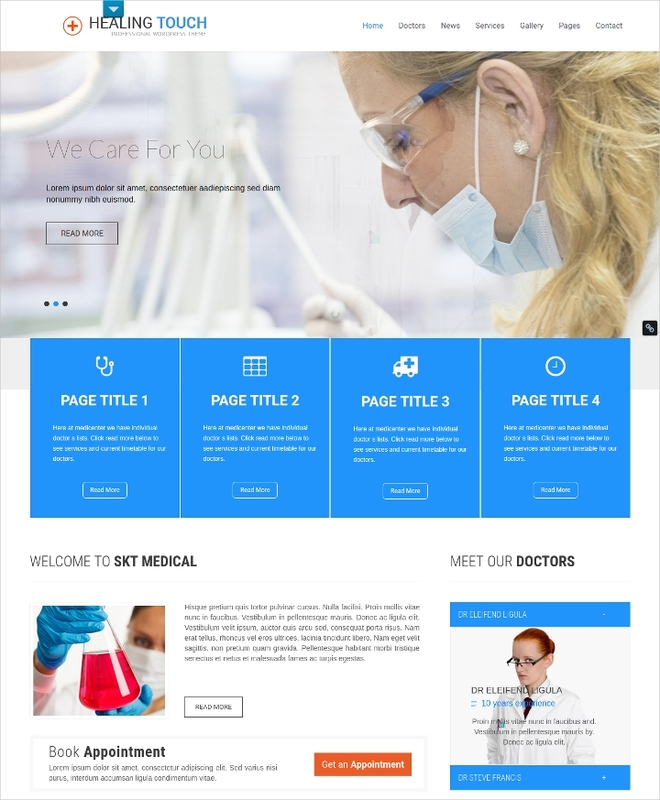 Try these Responsive WordPress themes & templates as medical themes for your site and see the response you get from visitors. The website is about day care service. It’s also suitable for medical services for the old age homes and normal family hospitals etc. The main features you get with this theme are responsive site design, lots of shortcodes, multi-language support, custom posts, and a nice full page slider. 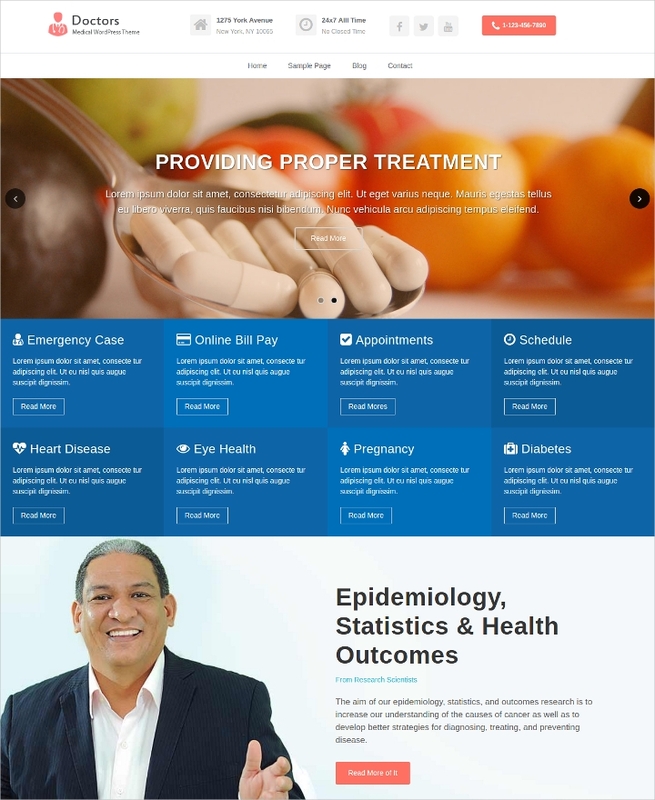 A nice light blue and white based design dominate the grid layout slider supported the theme, which looks great for any sort of family or specialty medical clinic or care center. The features include SEO support, shortcodes, responsive design and much more. 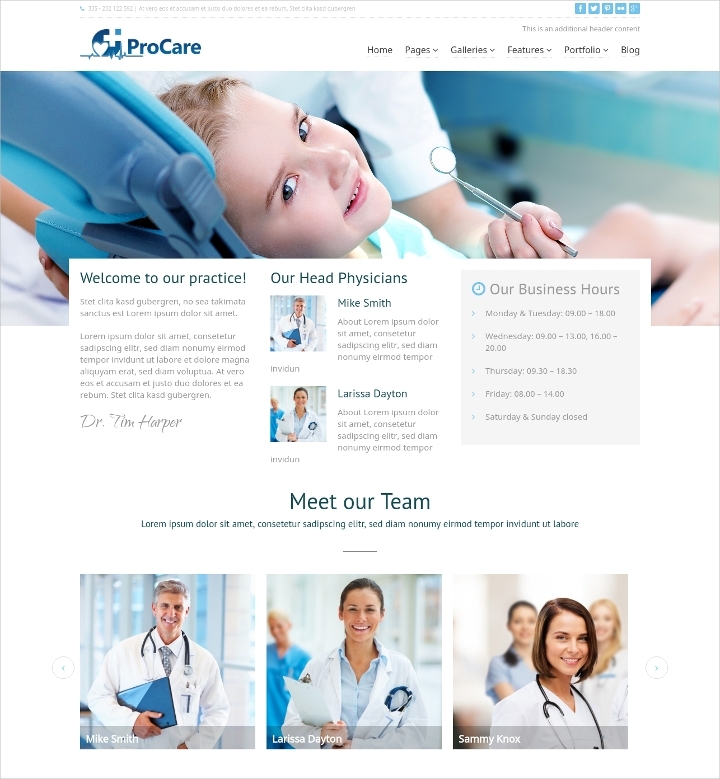 This lovely design shows the soothing use of some light colors to bring a smart and corporate medical look to the site. The green footer, the box style design, the stretched slider, all looks nice with ample text areas to describe things. Other site features are retina readiness the megamenu support, the cherry framework support and much more. This is more of an e-kart theme for medical items. 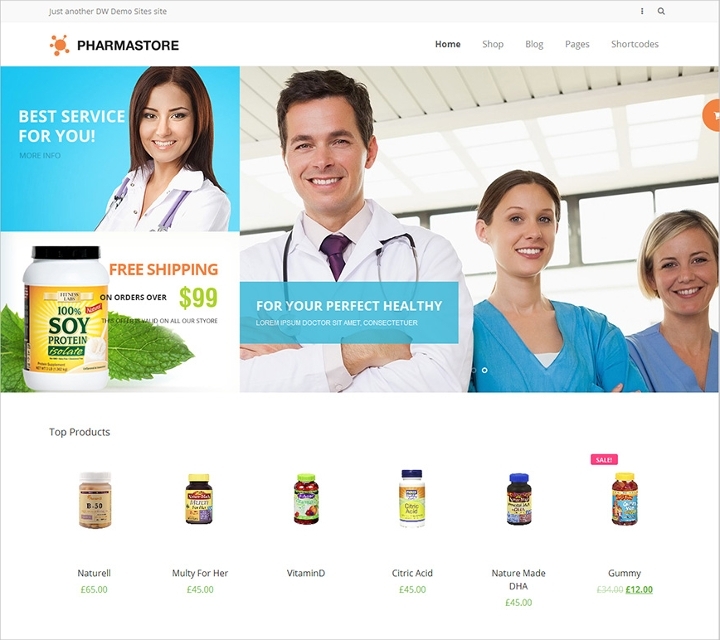 You can sell supplements, medicines etc on your medical site by implementing this smart and soothing Woocommerce supported theme. Features include a page builder, blog templates to build multiple pages and blogs. 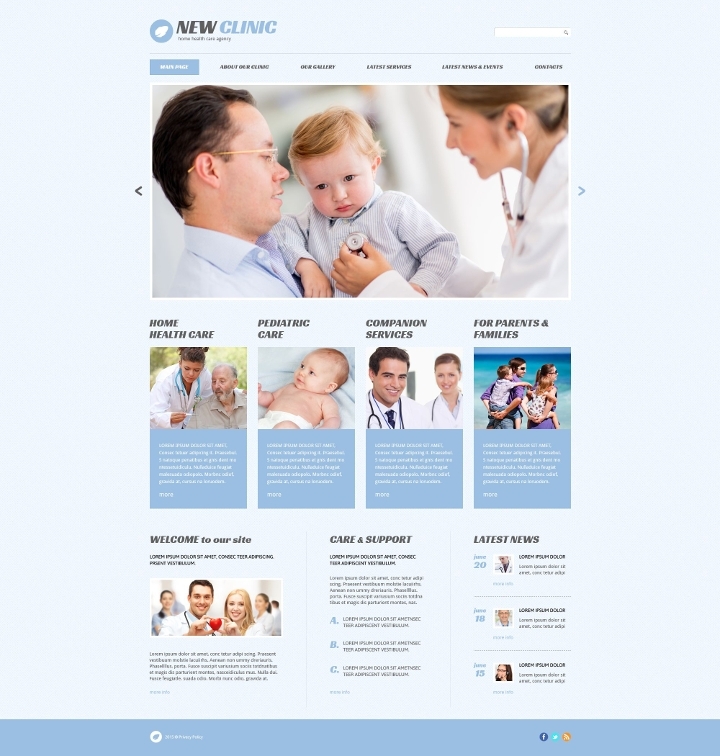 A baby care center or some infertility centre can easily make use of this amazing theme, which builds a relation with the viewer at a glance with the nice design and placement of images. The theme looks nice with features like SEO readiness, fully editable posts, responsive design, multi-language and shortcode support etc. 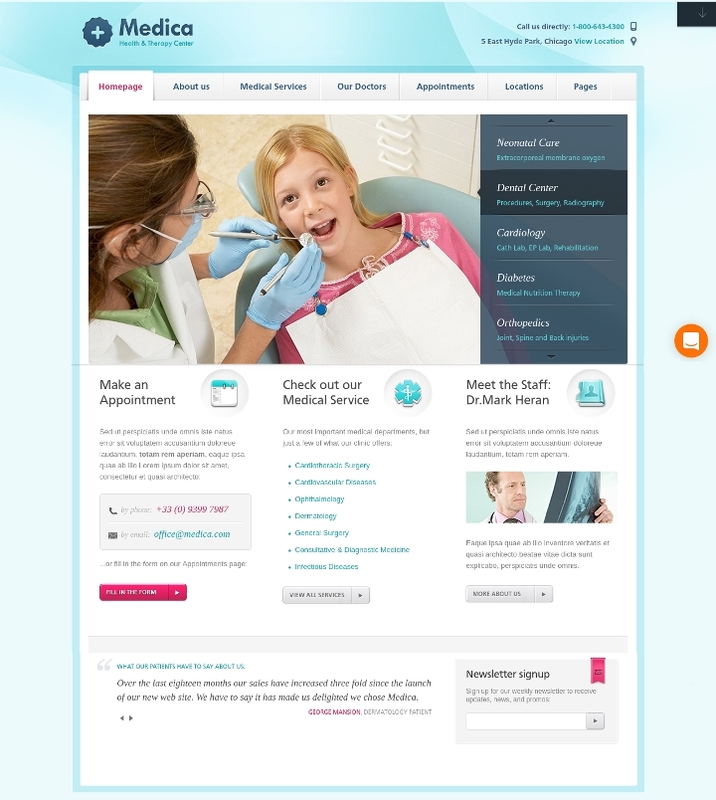 This is one of the best medical style themes which can be flexibly used in any site type which offers medical services. A nice theme options panel, more than 20-page layouts, box style and wide boxed design, a visual page builder are some of the great theme options. This is a colorful and quite intriguing theme. 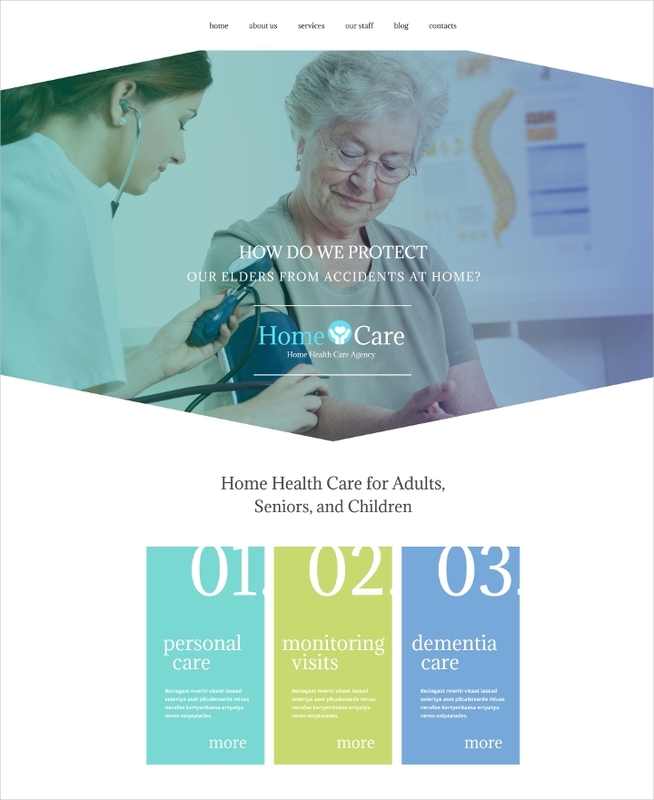 There are many images on the front page design, and the box style theme layout with lots of text and image options for greater visibility of content on a limited area makes this an information-friendly theme. Use this for medical blogs and discussion boards and on many other sites. 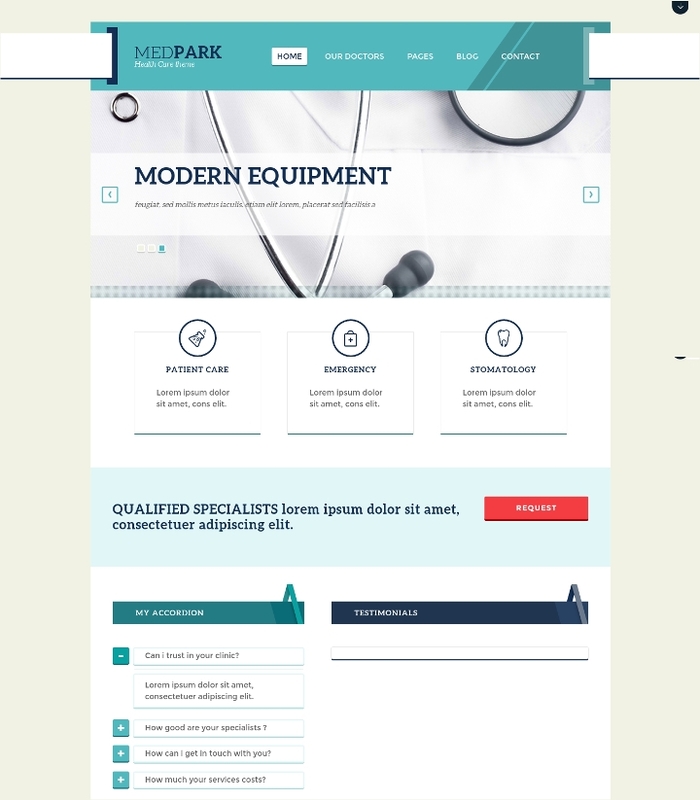 A surgeon’s theme, or may be used in other medical features and facilities, this one is well suited to display a specialization with the huge full-screen slider. 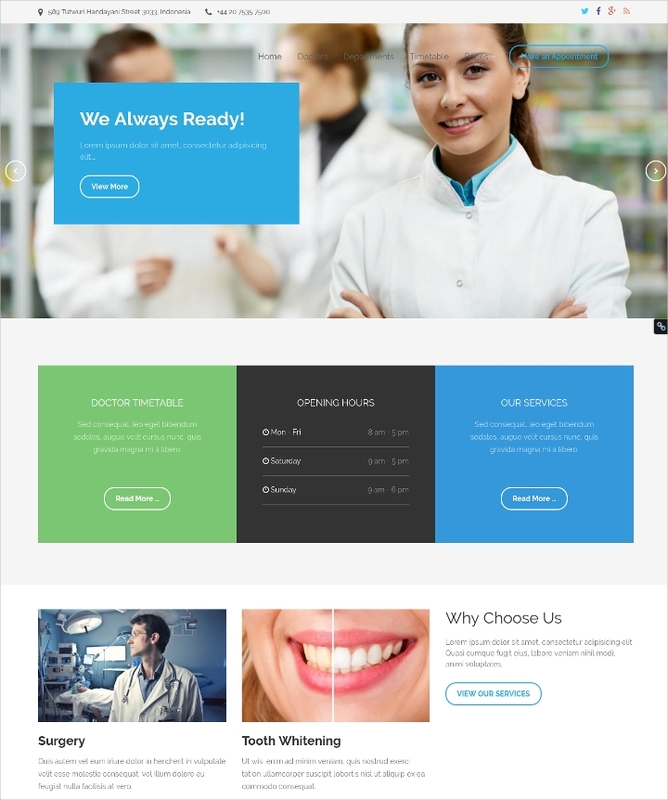 The other theme options in the white and blue based soothing theme are full page customization, custom posts shortcodes, SEO readiness, responsive design etc. This is a full-screen slider based theme, which you may use in other ways too. The theme looks gorgeous and lovely with features like cross browser compatibility, minimalist design, fast loading capacity, great documentation for easy installation etc. This is a WordPress theme, which is mobile friendly for the one-page design. 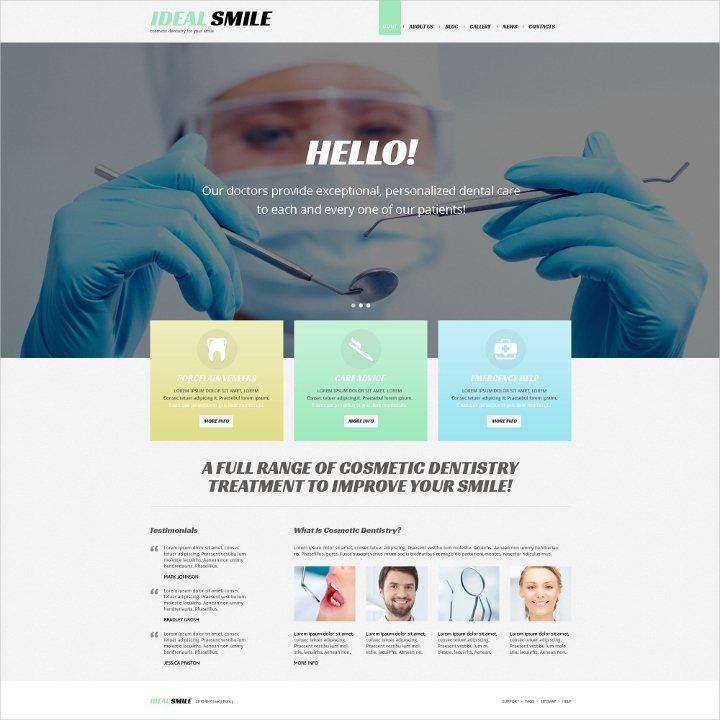 The theme comes with some interesting templates like the dentist, veterinary, pharmacy and medical, and 2 more templates. Besides, WPML support, changeable Google Maps, the Ajax contact form etc are other supports. 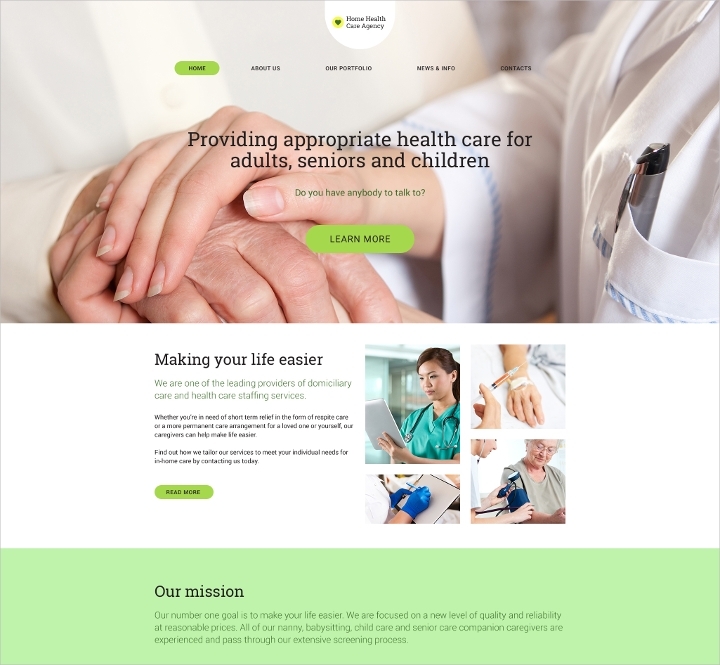 A very mobile friendly, minimalist theme with quiet fast loading, this one is well suited for any medical centre hospital and clinic etc. The features are revolution slider, parallax background, custom header, section video background, WPML support and a lot more. 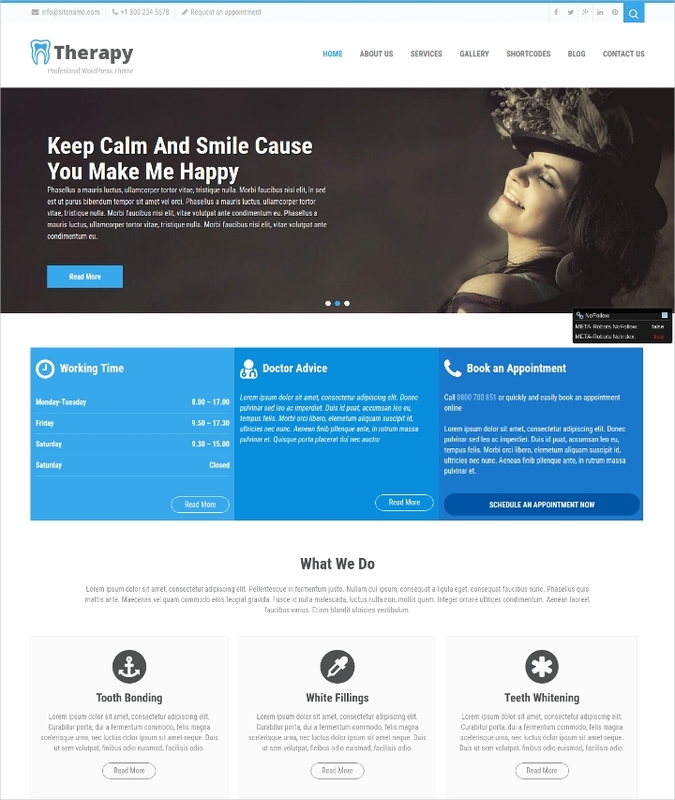 This is a theme for a light-minded nice site design, which depends on therapies or therapeutic usage of things. Various elements can be described using this text-friendly theme with a smart slider on top. Use the grid based textual theme for giving much information about your services. Woocommerce support, multi-language support, lots of shortcodes and a shortcode generator, WPML support are the various theme features. This is a clean theme. Neat and easy to handle and a nice fast loading minimalist design characterizes this theme. The features you get are local SEO support, WPML support, cross-browser compatibility, and a great theme options panel. The responsive design looks smart and neat on any screen and can be used to build a site for emergency medical services. 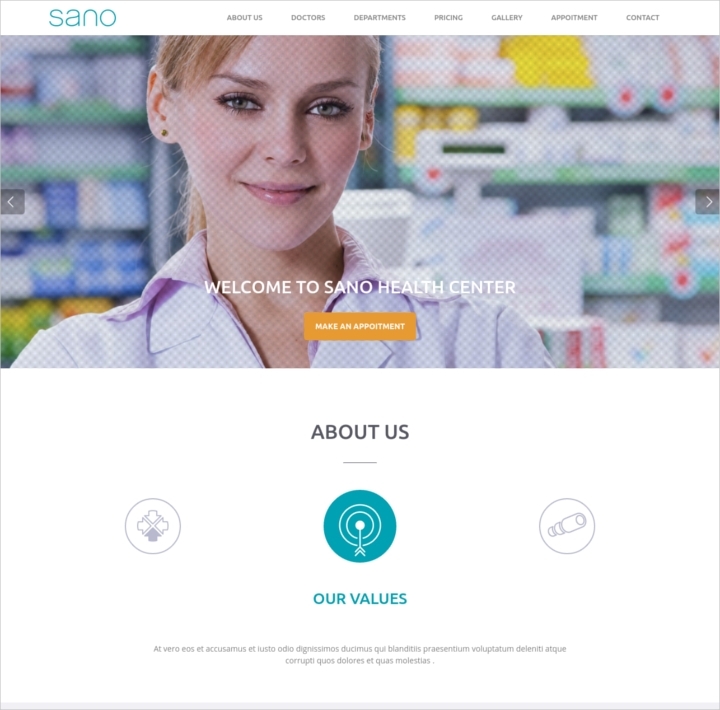 The smart theme for medical sites can be used in many ways for hospitals, clinics, or about a panel of doctors, some medical group etc. The theme features you may enjoy are custom widgets, custom posts, clean coding, a nice theme options panel, the mega menu, page builder, and a totally international design. 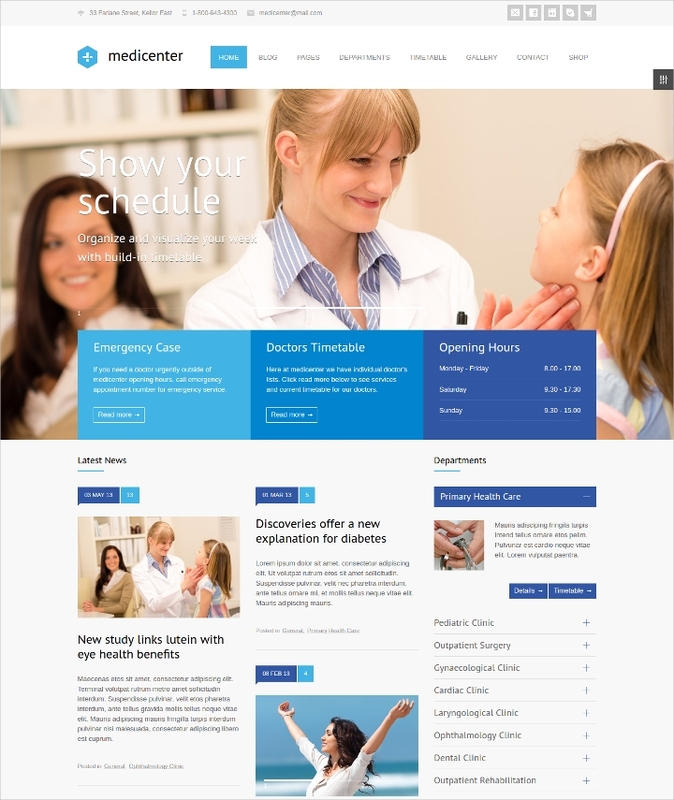 The theme has Woocommerce support and subscribers and contact forms to make doctor’s appointments. Use this for a clinic, or an individual practitioner, or for some dental centre etc. This theme has a responsive design, retina readiness, SEO readiness, a lovely admin panel and great controlling options etc. A mix up of smart grid view and slider at the top, this theme looks corporate, smart, and very sober. Use this for multi-browser support, lots of color schemes, the custom widgets, page templates and shortcodes etc. This theme features a two layered grid design on box style, wherein you can accommodate the textual elements, and for a large image display you have the slider on top. The other features are great navigation options, lovely SEO readiness, site controls, lots of plugins, cross-browser compatibility etc. This is a clear and bright theme with lots of facilities like custom backgrounds, integration of Google fonts and maps, Social share buttons, custom Logo implementation, custom widgets, shortcodes and sliders, the social media support and a lot more. The smart and clean, minimalist design, and fast loading theme is a good choice for mobile friendly site making, as you get the mega menu, a custom page builder, custom post types, responsive design, and timetable plugin, SEO support and lots of shortcodes for easy handling here. The theme is very sober and yet bright with the concept of using the light colors with some light and shade effects as well. 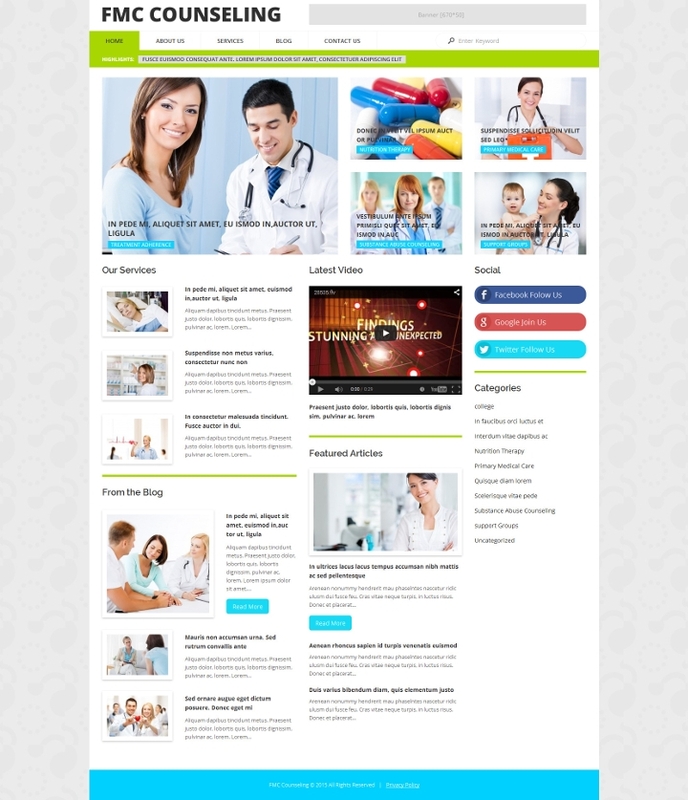 The theme is a nice one for making any medical site. The features included are multi-language support, a mega menu, and Woocommerce support etc. 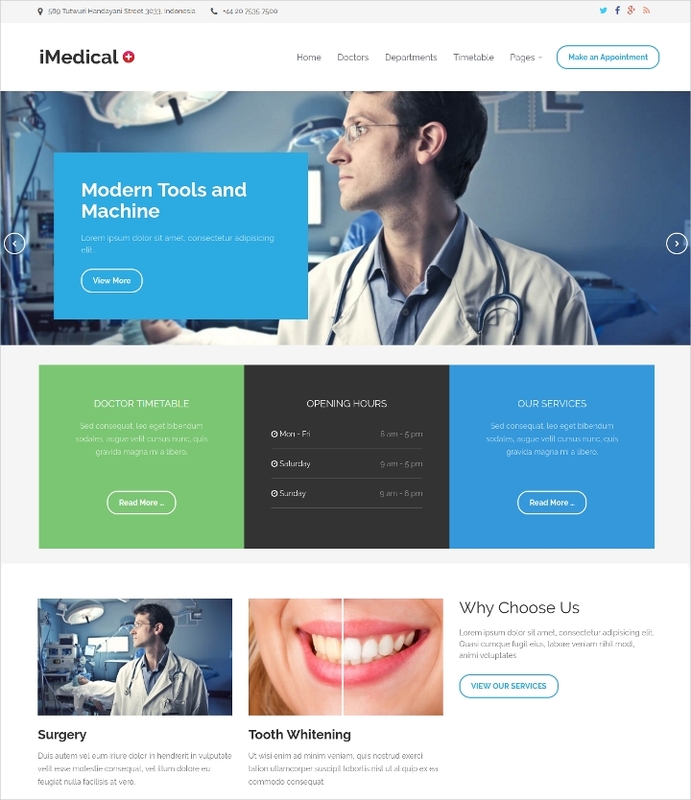 With these amazing medical themes, you can now make great sites and which will be amazing as medical facility sites. 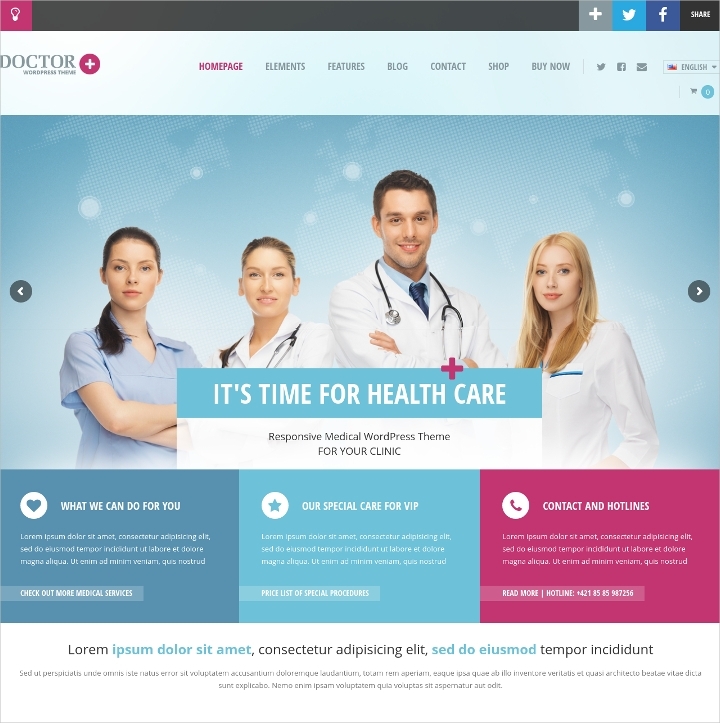 The special look and style of the medical sites would help you get a great response, and would let you sell your medical services in targeted areas. 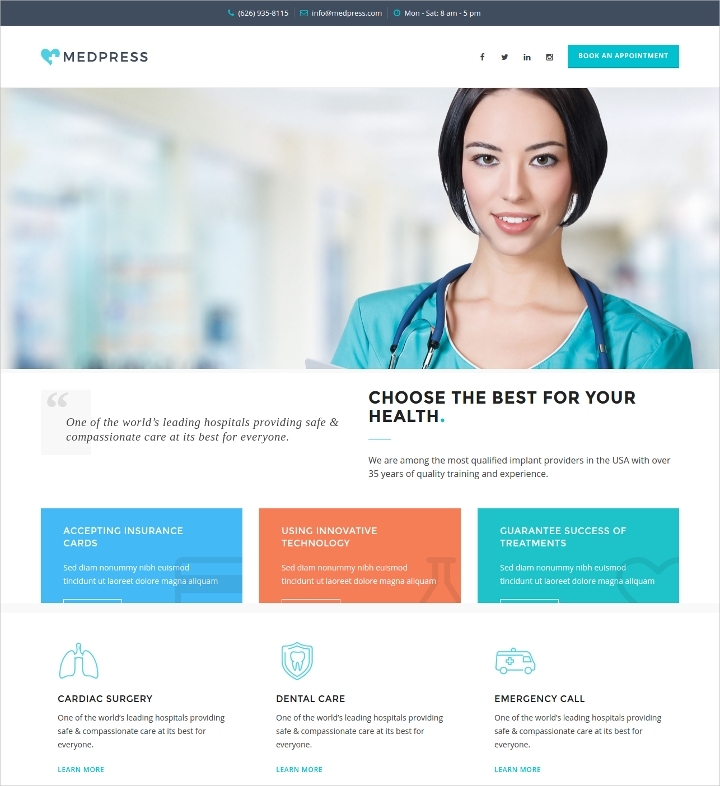 Just like these medical themes, you may also explore some Sports WordPress Themes & Templates and also some Fitness WordPress Themes & Templates in case you are making a range of websites on medicine and fitness.